Surgery is too often prescribed to alleviate chronic back pain. When the surgery is not successful (pain persists after recovery) patients can experience Failed Back Surgery Syndrome (FBSS). Patients who encounter this syndrome can become discouraged and distraught—believing there is nothing else that can be done to alleviate them from their chronic pain. 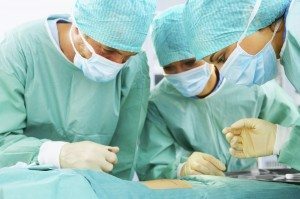 Allstar Healthcare in San Antonio, TX offers treatments to help patients heal from a failed surgery. Our physical medicine professionals can help provide you pain relief, and will work with you to ensure you regain your normal level of activity. Call Allstar Healthcare offices today at 210-521-6886 to schedule your FREE consultation, or to schedule decompression session.